When most people think about their health, they think about how good they feel. True health, however, is more than that. It’s about how your body is functioning – what’s going on inside. The team at Elevation Health wants you functioning at 100% to live the life of your dreams! Elevation Health has set itself apart from your average health care provider or chiropractic office. The team focuses on the health of the whole person, not just their symptoms. Through corrective care, exercises, nutrition and education, patients are taught how to ensure their own superior results. As a life-long student of the human body and its innate potential for healing, Dr. Patti’s passion IS to help others avoid devastation in their lives due to poor health. She graduated with honors from Chico State University with a Bachelors of Science in Exercise Physiology. Throughout her schooling, Dr. Patti worked with many athletic teams as an assistant in the training room where she supported the football, basketball, and volleyball teams. Dr. Patti graduated with honors from Life Chiropractic College West in Hayward, California in 2005 and practiced for 5 years in the Bay Area. During the time she was in private practice she also went back to teach at her alma mater, Life West, for three years. Where she enjoyed teaching anatomy, philosophy, and differential diagnosis. Dr. Patti is a proud to sponsor over 40 young kids from Morgridge Academy as they run incremental marathons as part of the “Kids Running America” program. Morgridge Academy is unique in that each of its young students has been diagnosed with a chronic illness. The students’ commitment to their training and to improving their health is something Dr. Patti truly admires. She has also volunteered her time and talents during a mission trip in 2003 to Nicaragua, where along with 40 other doctors and students, she served in adjusting more than 20,000 people. She also traveled to Ghana in 2009 to help Aid for AIDS Africa educate about health. Dr. Patti helped to provide chiropractic care to more than 5,000 people during her short visit. Dr. Patti had the privilege to be the onsite chiropractor at the 2008 Nationwide Tournament at Stonebrae Country Club, where she worked with the pro golfers to make sure they were in top condition to compete. She also accompanied the U.S. Olympic Team to the summer 2012 games in London. Dr. Patti assisted the Judo, Wrestling and Weightlifting teams. This was the first time the USA Judo team had ever won a medal, Gold and Bronze were brought home by the athletes receiving the exact care she provides in her office. In addition to seeing patients, Dr. Patti works tirelessly to educate her community about the health benefits of chiropractic. 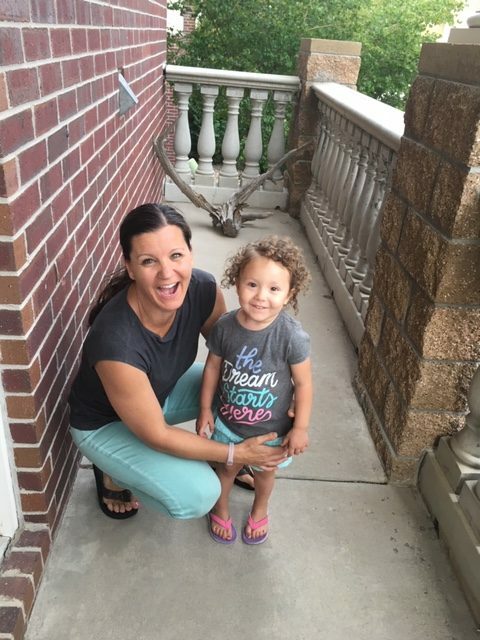 She spends a lot of time doing workshops, going to businesses and speaking to moms’ groups to help others understand that chiropractic is much more than back pain or neck pain. She has done talks for various groups, including Heather Garden’s, Excelsior, CASA, LaLeche League, and churches. She helps her community understand they have an amazing healing power that heals them from the inside out. Outside the office, Dr. Patti enjoys spending time with her husband, her sweet daughter, Emilia, born in November 2014, and her two chocolate labs. She loves spending time outdoors, going to farmers markets, reading, cooking and travels frequently for both business and pleasure. Alison has always been interested in health and fitness. In 2002 she competed in her first figure competition, not really knowing what she was doing, and placed 1st. From that point on… game on. Since her first competition, she has placed 1st twice, 2nd, and 4th. With fitness as her passion she wanted to learn more about nutrition, and not just dieting for a show. That is where she enrolled at Metropolitan State University to study Human Dietetics. Gabriella Rivera, L.Ac, HHC, DAOM (candidate), is a licensed acupuncturist and herbalist in the states of Colorado and California and is nationally certified as an acupuncturist by NCCAOM. Gabriella is also a Certified Holistic Health Counselor accredited by The American Association of Drug-less Practitioners and a graduate of the Institute for Integrative Nutrition, an affiliate of Columbia University in New York City. Danielle L. Carr, AOS, LMT (Colorado Licensed Massage Therapist) is an Associates Degree graduate at Colorado School of Healing Arts. Offering Swedish Massage, Raindrop Therapy, Lymphatic Drainage, Raphah Pallel, Trauma Therapy and other modalities to serve a wide range of clients. My passion is to see people be well in body, soul, and spirit. Kaylea has been interested in health since her first year in college. She had just begun working with essential oils when friends started coming to her with questions, seeking advice. Kaylea fell in love with teaching about health. When she decided to take a year off college, she explored the one thing she really enjoyed, holistic health.